When an order downloads from eBay or Amazon, Brightpearl will apply tax rules to work out which tax code should be assigned to the order. 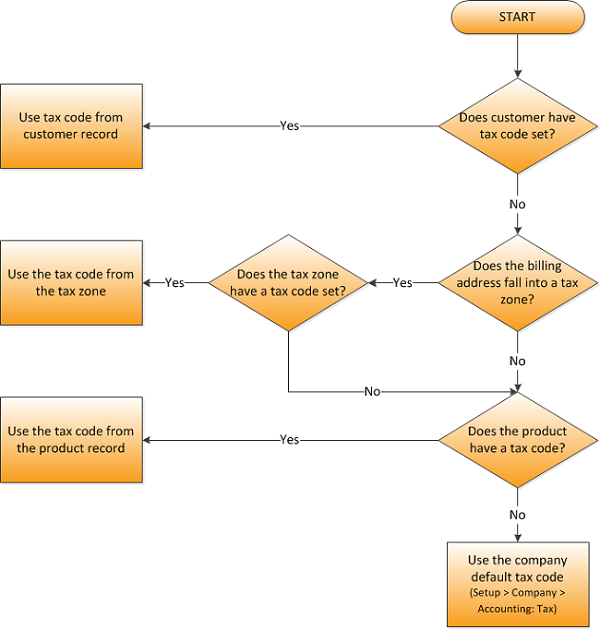 The Brightpearl tax code is used to calculate the amount of tax to apply to each order row. If you are a UK based seller and make a sale to a UK based customer, the tax code is usually driven by the product. So to ensure this is the case, do not assign any tax code to your United Kingdom tax zone, but ensure your products are assigned the relevant tax code. If you are a UK based seller and make a sale to a customer outside of the UK, then the tax code will usually be driven by the location of the customer. So to ensure this is the case, assign the relevant tax code to your tax zones at Settings > Localization > Tax Zones. Brightpearl will assign tax codes to eBay and Amazon orders using the below rules. The tax code rate will be used to calculate the tax amount to apply to each order row. Tax codes can also be manually assigned to order rows prior to invoicing the sale.